This week, we handed the podcast over to an all-female cast of awesome film lovers to review Hereditary and Ocean’s 8. 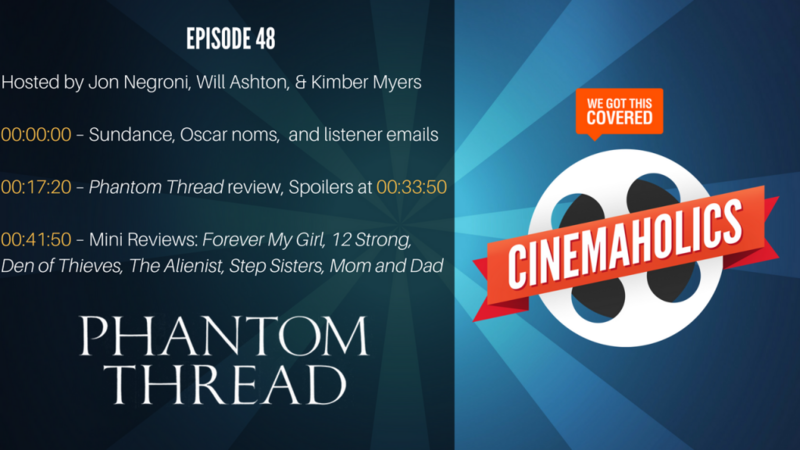 Kimber Myers hosts this week with special guest Alisha Grauso and newcomer to the pod Candice Frederick, and they kick things off with a lively conversation about the year’s breakout horror hit from A24, plus the spinoff to the Ocean’s 11 franchise starring Sandra Bullock, Cate Blanchett, and many more. 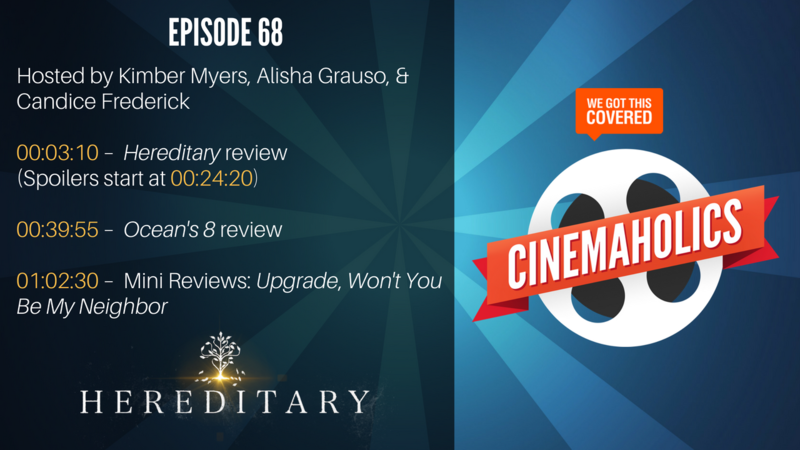 For mini reviews, Kimber and Alisha discuss Upgrade, the sci-fi action darling we did our for our feature review last week, and then Won’t You Be My Neighbor, the Fred Rogers documentary that has been warming the hearts of even the coldest critics. Question for you: what’s the scariest movie you’ve seen in recent years? Phantom Thread is the newest film from director Paul Thomas Anderson, reuniting with Daniel Day-Lewis, one of my favorite actors in Hollywood (and one of the best cinematic performers of all time). I sat down with Will Ashton and special guest Kimber Myers of The Playlist to discuss the new movie, which also stars Lesley Manville and Vicky Krieps. In our Mini Reviews segment, we covered a wide range of different movies, from the patriotic true story war film 12 Strong to the laid-back airport romance flick Forever My Girl. Plus Den of Thieves, a new heist action movie starring Gerard Butler, along with a quick review of The Alienist, a new show coming to TNT. Netflix has a new original film out called Step Sisters from the same director of Drumline. And an under-the-radar VOD release called Mom and Dad starring Nicolas Cage and Selma Blair.